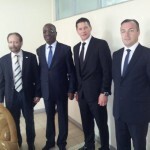 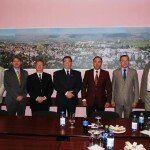 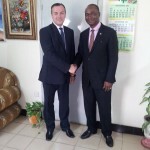 The head of the diplomatic mission of the Islamic Republic of The Gambia in Romania, presentation visit at Mures County Council, February 2015. 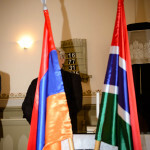 Participation chief diplomatic mission of the Republic of the Gambia in Romania at National Day of the Republic of Serbia. 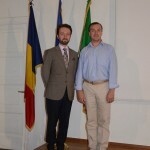 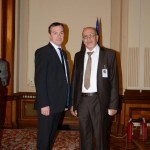 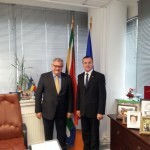 Together with Bogdan S Tataru Cazaban Romanian Ambassador to the Holy See, the Accademia di Romania, July, 2013 at the presentation of the movie "Romanian School in Rome"
Visiting presentation to the Mayor of Targu Mures, dr.Dorin Florea, June 5, 2014. 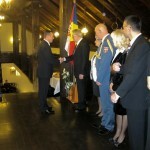 Donation offered by the diplomatic mission of the Republic of Gambia in Romania young violinist Erika Kecskes February 2014 Tirgu Mures.